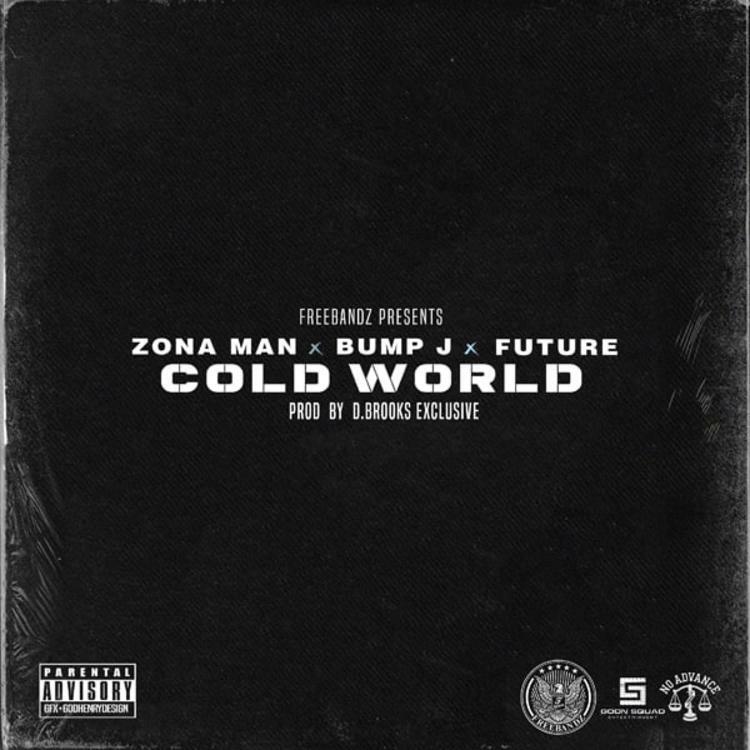 Home>New Songs>Zona Man Songs> Future & Bump J Join Zona Man On New Single "Cold World"
It’s been a minute since we last heard from Freebandz Gang​ representative Zona Man. In fact, the last time the Chicago rapper impacted our site was back in 2015 when he linked up with Lil Durk & Future for the song “Mean To Me,” but thankfully that drought ends here today. With no warning at all, Zona Man decides to return to the scene and share a new single called “Cold World,” featuring Future & Chicago legend Bump J. Going in over production from D. Brooks Exclusive, the trio of rappers reflect on their come ups in the game and address the lows they experienced and obstacles they've dealt with even as they've turned nothing into something. No word yet as for where this will end up, but the sequel to Zona Man’s No Advance tape is reportedly in the works, and could possibly host this new posse cut. Take a listen and let us know what you think! New heat for the streets? Boosie Badazz Drops Off New Single & Video "God Wants Me To Ball"
Machine Gun Kelly, X Ambassadors & Bebe Rexha Join Forces On "Home"
SONGS Future & Bump J Join Zona Man On New Single "Cold World"